Admittedly, I have struggled with coming up with a way to explain what Easter really means to my kids. I tell them that Jesus died for our sins and rose from the dead so we could have everlasting life and both of my children stare back at me with wide eyes and open mouths. They really don’t know what I mean. It’s important to me to find a way to explain the Easter story in a way my kids actually understand. If I can combine Easter crafts for kids and the true Easter story, that’s a win in my book! I was excited when Nadine Best of Making Her Mama offered to let me review her new Ebook, The Bunny, The Egg and The Cross. 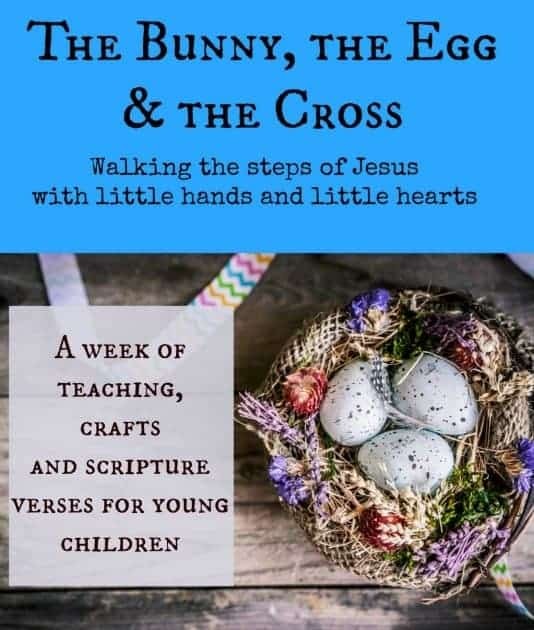 If you need an easy way to explain the meaning of Easter to your kids along with fun and easy Easter crafts for kids, I highly recommend this Ebook. The book starts out with a brief explanation of Easter. 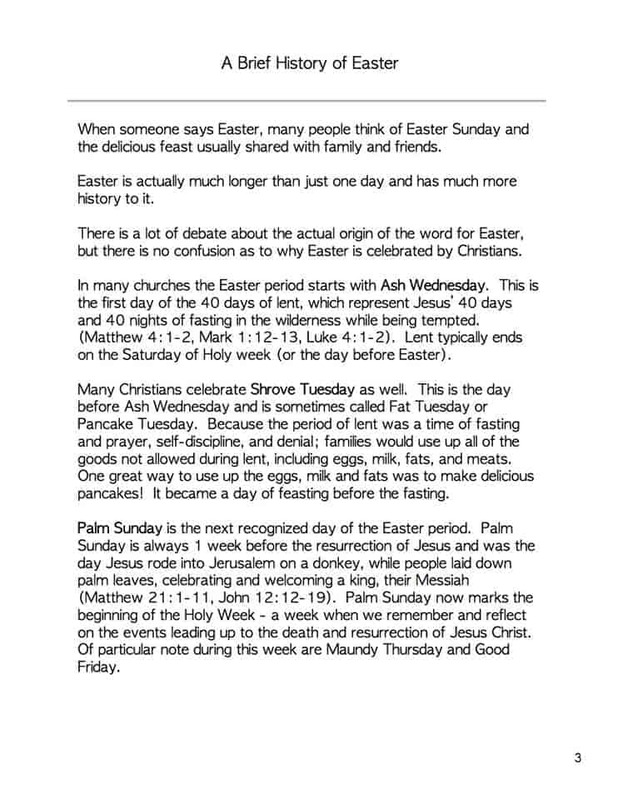 I loved the refresher I got from reading this, as well as an explanation for Ash Wednesday, Fat Tuesday, Palm Sunday, Maundy Thursday, and Good Friday. I love that there is a master supply list at the beginning of the book so you can easily figure out what you need for each craft. You probably already have several of the supplies and the other can be purchased at the Dollar Store. You will complete one craft per day beginning on Palm Sunday. Each craft correlates with that day. For example, Palm Sunday’s craft is a palm branch. You will find scriptures to read to your children as well as a “Let’s Talk About It” section that tells you how to explain everything and tie it all together. 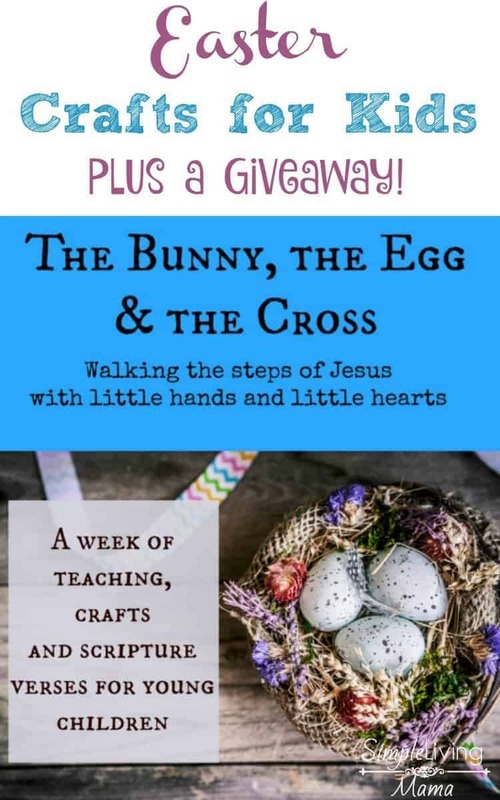 There are also two additional crafts you can do with your children to explain the symbols of the Easter bunny and Easter eggs and tie them into the religious meaning of Easter. Included with the Ebook are templates to use for making your crafts and adorable scripture cards that you can print out and laminate. 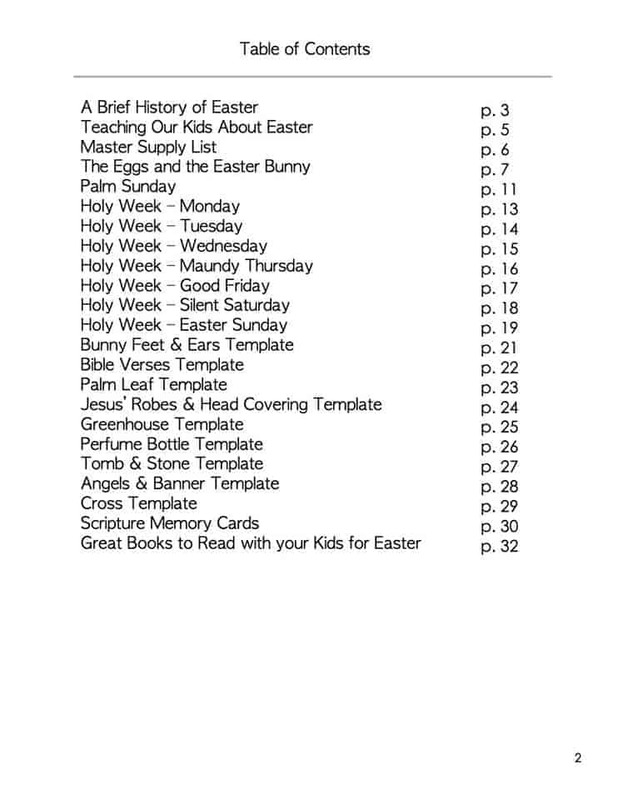 You will also find an awesome list of Christian Easter books to read with your kids. 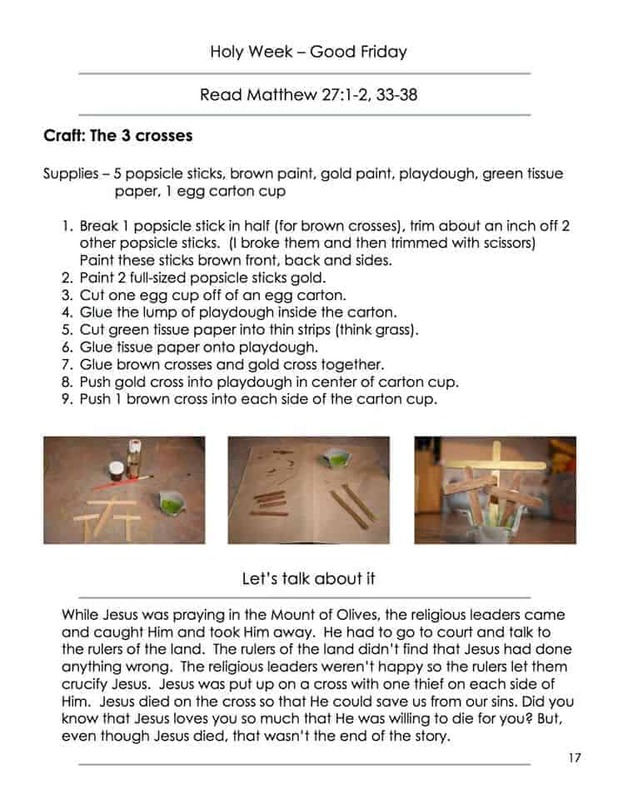 My children and I will be following along and making our craft each day beginning on Palm Sunday. I’m looking forward to explaining to them the true meaning of Easter in a way they will understand! Get it for $4.99 with coupon code SLM2017. Would you like to win your very own copy of The Bunny, The Egg & The Cross? Nadine has graciously offered to give one of my readers a copy of the eBook! Just enter the rafflecopter below!